Hello everyone! I'm Harmony and I'm the designer behind 3Giraffes. I LOVE using Jocole patterns. They are fabulous. I also love using different techniques and adjusting patterns or adding to them to make something totally different and fun and new, but still have the perfect fit that the original pattern has. 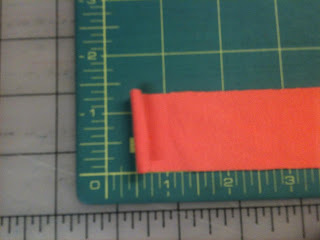 Today is a tutorial on how to do a knit/stretch binding instead of using traditional elastic, fancy edged elastic (like picot or ruffle edged), or fold over elastic. 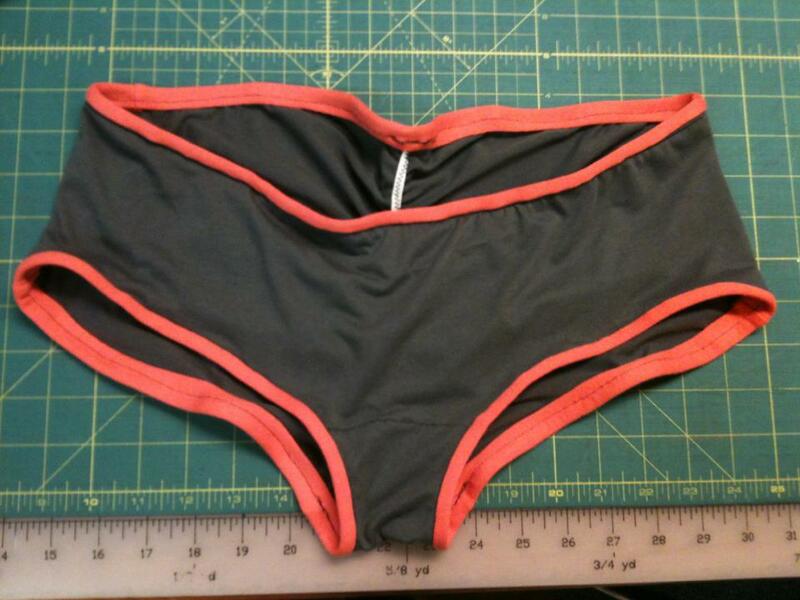 This will be done using Jocole's awesome women's Basic Brief Bottoms pattern and some cotton lycra. 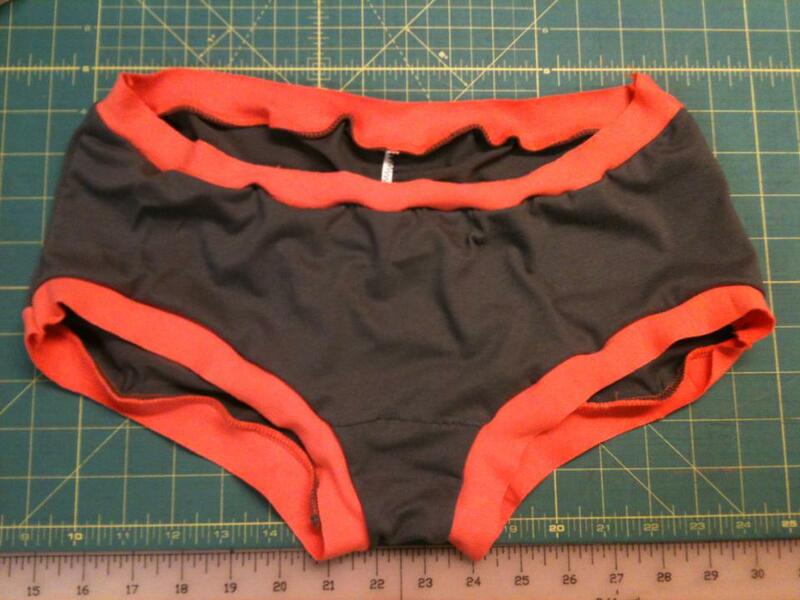 You could most definitely use this tutorial for the kids undies pattern as well. First cut out your underwear pieces out of your chosen knit fabric. 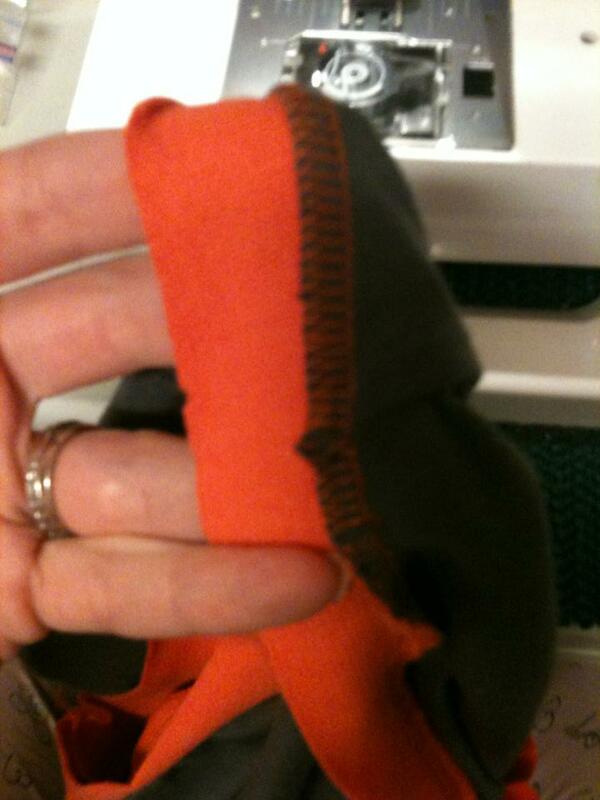 Make sure to trim away a seam allowance since this will not be folded under. Then it's time to cut your binding strips. First you need to know how wide of a seam you're going to have. 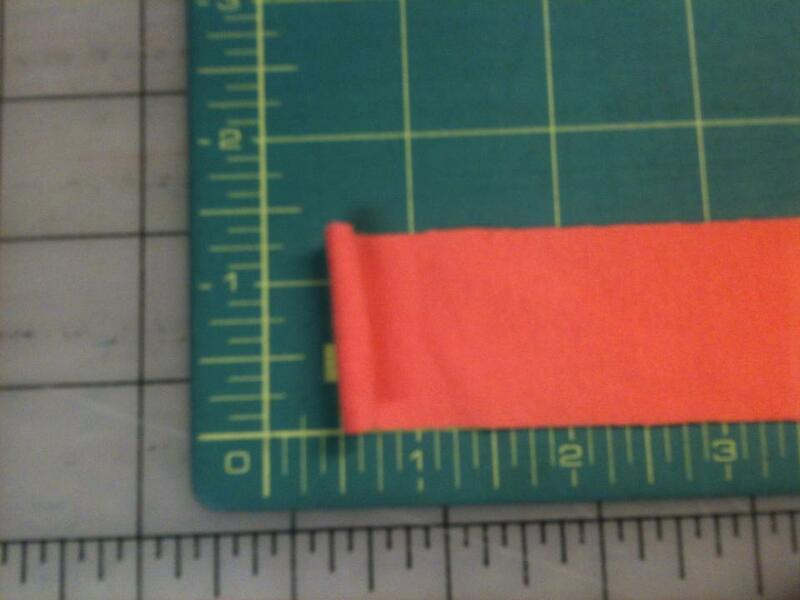 Then you cut a strip 3x your seam wide x the length you need as if you are using elastic minus about an inch. In my case, my seam allowance is about 3/8". Which means I need my strips to be 1 1/8" wide. I made them about 1 1/4" wide because it can't hurt to have a little extra to work with. 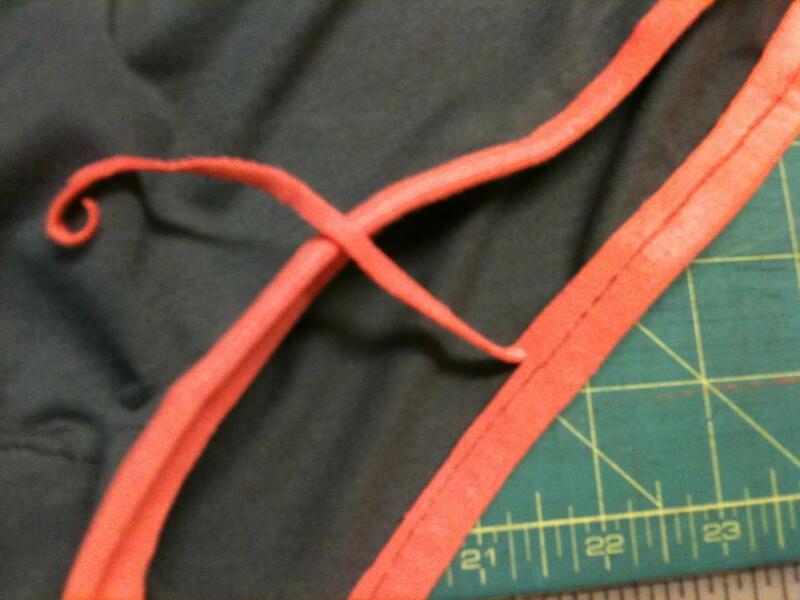 After the crotch is sewn you sew on the strip with right sides together along one leg opening. Stretching as you go just like with elastic. 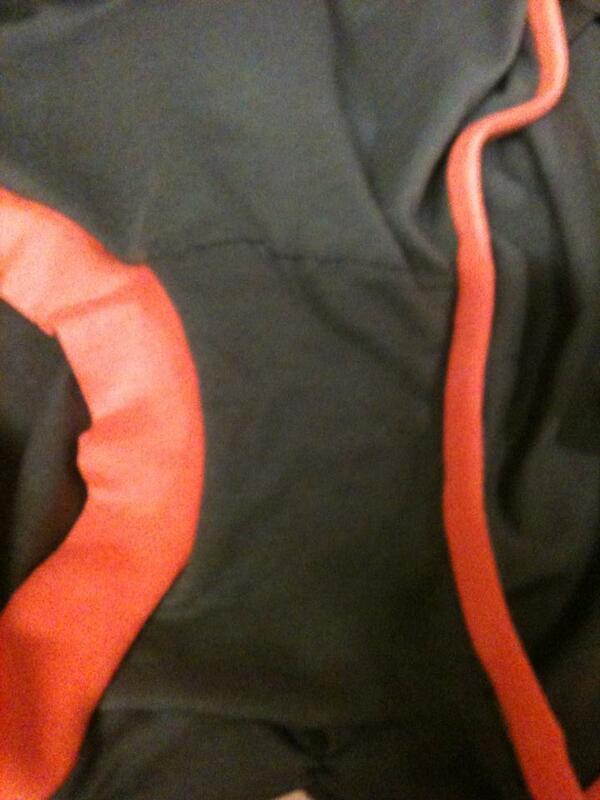 After its sewn on it looks like this. You see the right sides. And like this on the inside. 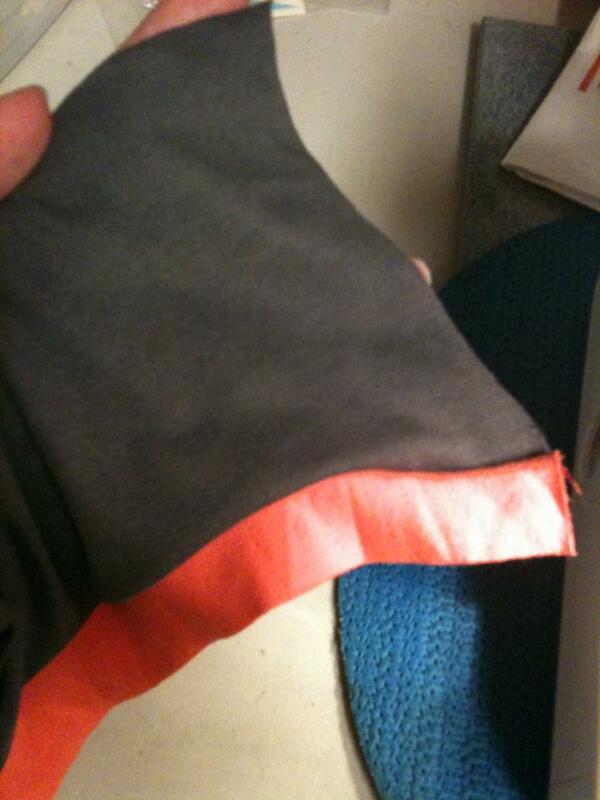 You sew one side seam after both the legs have the binding piece sewn on. Making sure the seam is pointing down into the binding piece. Then sew on the binding for the waist, then sew the other side seam with the waist seam pointing up into the binding and leg seam pointing down into the binding. It looks like this all together. 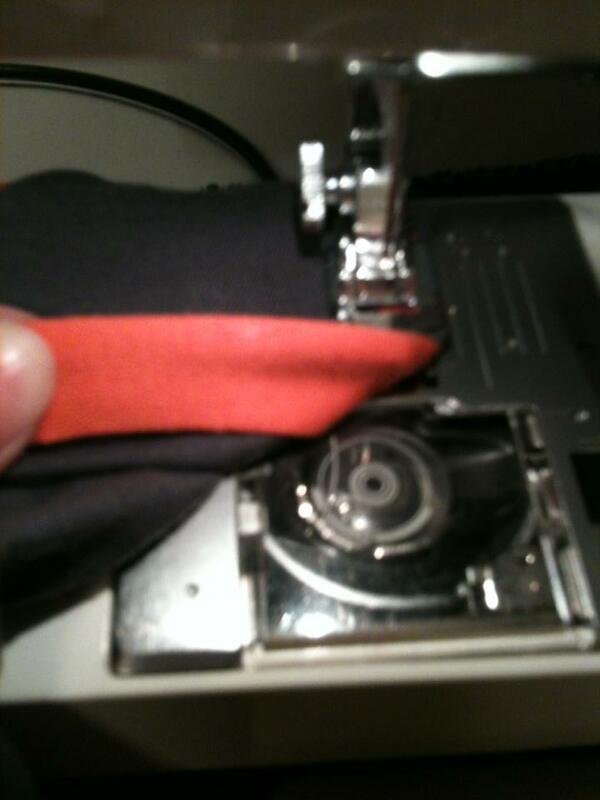 Then you make sure the seam is in the binding and fold the binding over top. And I guess you should pin it in place...but I don't. I confess that I use pins as little as possible. This is what it looks like underneath. 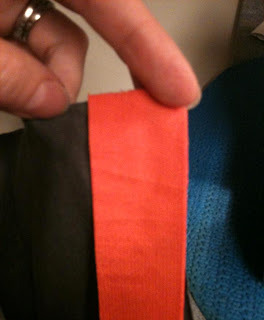 Do a stretch/straight stitch right along the edge of the seam. Or in the seam if you can. (This is what is referred to as a "stitch in the ditch.") You can see a difference in the finished side vs unfinished side. 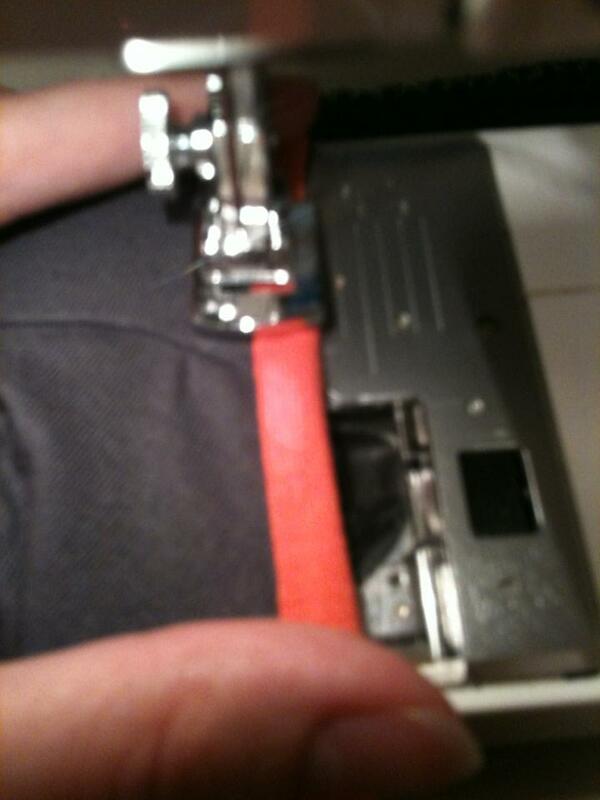 Then once it's all sewn down properly you trim off the binding on the inside. Super comfortable! And a fun way to finish off an edge when you run out of elastic or want to use a stretchy fabric instead of elastic for a different look. Thank you so much Jodi for inviting me to come play here today!! You are awesome and I'm honored that you have asked me to contribute.